A county councillor is calling for a look at designating a conservation area in Craster. Coun Wendy Pattison, member for the Longhoughton ward, including Craster, has asked the authority’s conservation team to investigate this and has pledged some of her 2018-19 members’ small schemes allowance to fund it. Coun Wendy Pattison, ward member for Longhoughton. The issue was highlighted in December at the North Northumberland Local Area Council, of which Coun Pattison is a member, at which divisive plans to convert two prominent units in the heart of Craster into homes were approved, but very narrowly indeed. The chairman, Coun Trevor Thorne’s, casting vote was required to give the green light after five members of the committee voted to approve the scheme, to convert the garage/storage units on land south-east of Lifeboat House, Haven Hill, while five voted against. 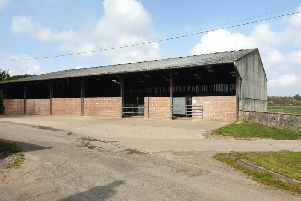 At that meeting, the parish chairman, Coun Bryn Owen, said the units should be considered a non-designated heritage asset due to their history as fishermen’s sheds and a smokehouse. Coun Pattison subsequently applied for the listing of this building.